Jallikattu | தமிழனின் வீர மரபு ! Does PETA aim to destroy Indian Native Cattle Breeds? With Pongal round the corner, bulls and bull tamers flex their muscles alike, getting ready for the game. We are at the Vilangudi tank brimming with water and the Ayyanar temple on its bank has suddenly become a scene of action. There’s a small crowd gathered to look at Maran, Mayandi, Arul, Ramu and Anbu show their mettle in swimming. They stand tethered to trees, their eyes glinting; they seem vigilant and wary of the onlookers. “These are some of my star bulls that have won laurels in many jallikattu events,” says S Deepak, who owns 16 adult bulls and eight calves. As if in response, five-year-old Maran gives a nerve-rattling grunt and people back off in caution. Unleashing Maran, Deepak leads him to the water and the bull happily gets in and puts up a good show of swimming, keeping his horns and head above the water surface, breathing out through his flared nostrils. Two other bulls follow suit and swim about with the help of their trainers. Mayandi the bull seems calm; but once he’s lead on to a patch of soil, he just charges forth on to the ground, fiercely poking his horns into the earth and throwing up mud. “This is referred to as mannu kuthal and often misconceived that the bull is being trained to be violent, but this is an exercise that helps strengthen the spine and neck bones,” says Deepak. “Depending on off-season and the peak-season for jallikattu, we train the bulls like athletes. Apart from hour-long swimming sessions, we do cross-fit training with slow and fast jogging. On alternate days, the bulls are made to stomp clay for strengthening of thigh muscles and to plough sand for shaping up the shoulders,” explains Deepak. The animals are also given a nutritious meal that’s composed of cotton seeds, wheat dust, ground pulses such as urad and thuvar dal. Only during off-season, the bulls are fed rice while during jallikattu period, their diet is protein-rich. “The player’s diet also includes honey, figs, and dates,a kilo each daily. We also offer them home-made traditional medicines made of ginger, garlic and onions to build immunity,” he adds. Bulls aged over 15 years are considered jallikattu veterans and become sought-after as breed males. Ramu, the oldest of Deepak’s bulls is 17-years-old and is a star in the surrounding areas. Some, such as Nondi even attain celebrity status and become viral on online platforms like YouTube. This article has been produced from https://www.thehindu.com JANUARY 11, 2019 15:11 IST. It will be held in Avaniayapuram on January 15, Palamedu on January 16 and Alanganallur the next day. The Tamil Nadu government has issued a government order to conduct bull taming sport jallikattu in three places in Madurai in January. “Under Section 2 of the Prevention of Cruelty to Animals Act 1960, the Tamil Nadu governor hereby notifies that jallikattu may be conducted on selected days in the places specified,” the order dated December 24 read, according to The Times of India. The government has permitted the sport in Avaniayapuram in South Madurai taluk on January 15, Palamedu in Vadipatti taluk on January 16 and Alanganallur, also in Vadipatti, on January 17. Tamil Nadu govt issues order to conduct #Jallikattu in three places in Madurai from 15-17th of January. The event will be conducted in Avaniayapuram, Palamedu and Alanganallur. 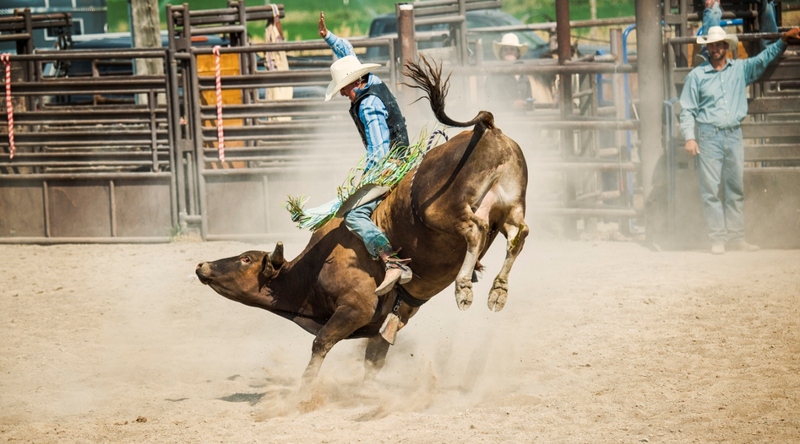 The traditional sport involves a bull charging into an arena where participants attempt to encircle it and grab its hump. The participant who is able to cling on to the animal is declared the winner. But for around a decade now, the sport has been embroiled in a legal tangle. 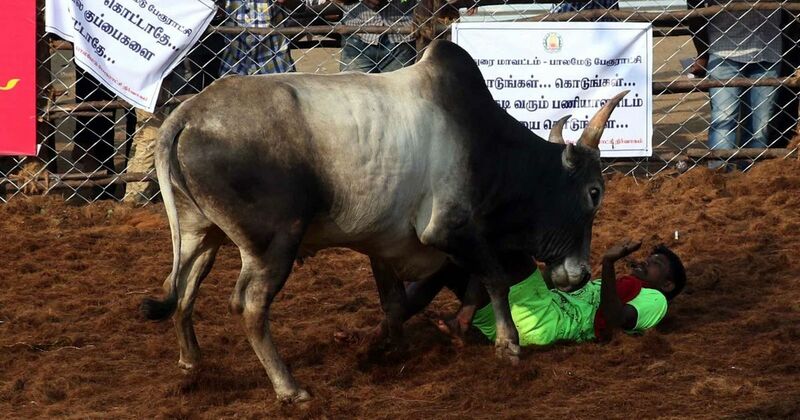 After a campaign against jallikattu by animal rights groups such as People for the Ethical Treatment of Animals, the Supreme Court bannedthe sport in 2014. In January 2016, though, yielding to popular pressure, the Bharatiya Janata Party-led Union government published a notification allowing bulls to be used in the sport. Animal rights groups challenged this, prompting the Supreme Court to quash the notification a few days later. One year on, in January 2017, lakhs of Tamil Nadu residents poured ontoChennai’s Marina beach, protesting the ban on jallikattu. Several students, members of the youth wings of political parties and IT employeesparticipated. Holding placards and demanding that the ban should be lifted, these protestors claimed that the jallikattu was necessary both to preserve a cultural tradition and because the bouts helped identify the most robust bulls necessary for breeding native species of cattle. After more than a week of protests, the Tamil Nadu government passed an amendment to the Prevention of Cruelty to Animals Act, 1960, a central law. The amendment was approved by the President of India and jallikattu events were permitted again. But the legal challenge to jallikattu has not been put to rest entirely. The People for the Ethical Treatment of Animals challenged the amendment, and the Supreme Court has said a constitutional bench will examinewhether jallikattu is a cultural right. This article has been reproduced from Scroll.in dated Dec 27, 2018. The bloody sport of bullfighting, in which the animals are killed unlike in either jalliattu or bullriding, continues to be held in Spain where a constitutional court overturned Catalonia province’s ban in 2016. The Madison Square Garden, which seats more than 18,000 spectators and bills itself as “The World’s Most Famous Arena,” hosts sporting events, concerts and political events. Prime Minister Narendra Modi’s rally for Indians was held there during his 2014 events. A Jallikattu Photo Exhibition was held at Kaumara Susheela International Residential School, Coimbatore on January 7, 2018. It was held as a part of the ‘Pongal Vizha’ celebrations at KSirs School. Photos taken by Mr. Balakumar Somu, Founder, ARHAM Trust, were displayed in the exhibition. Mr. Kumaragurubara Swamigal of Kaumara Madam, Mr. Karthikeya Sivasenapathi of SKCRF, Kangeyam, Mrs. Vanitha Mohan of ‘Siruthuli’ and several others participated in the function. The students of KSirs along with their family, participated in the ‘Pongal Vizha’.